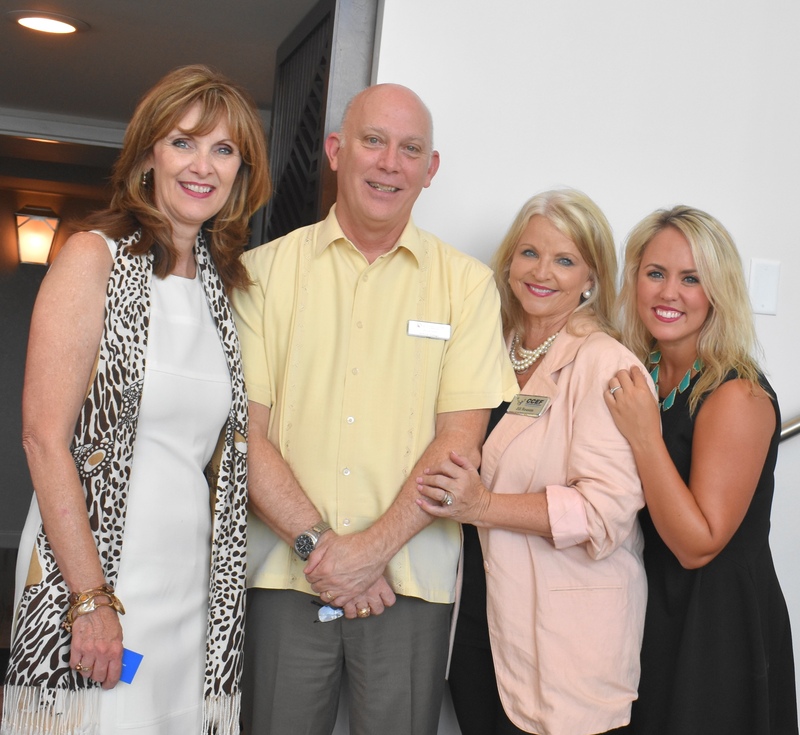 South Shore Harbour Resort General Manager Roy Green finds himself surrounded by pretty women as new Clear Creek Education Foundation Executive Director Deborah Laine, from left, drops by with CCEF Board Chairman Jill Reason and CCEF Marketing Manager Kelsey Richardson to meet him. Deborah Laine of Texas City, a marketing and fundraising professional, is the new executive director of the Clear Creek Education Foundation. She replaces Kaci Hanson, who resigned so as to spend more time with her husband and two young sons. She brings 13 years of experience as the executive director of the Texas City ISD Foundation for the Future and director of development and community relations for Texas City ISD. She has over 30 years of experience in marketing, advertising, fundraising, business relations and consumer goods packaging design. Community involvement has been key to her roles in Texas City. She has actively served 13 years with the Texas City Rotary Club and is currently the president of that club while also serving a six-year term on the Rotary Foundation Board of Directors. 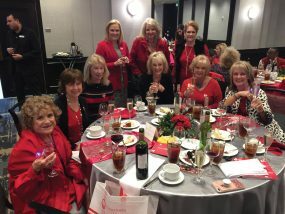 This past year as president she worked with Rotarians from multiple clubs to introduce the Inaugural Galveston County Rotary Royal Court that brought further recognition and awareness of Rotarian work across the county. She has been named a Paul Harris Fellow and received the Vocational Service Award in 2011 from the Texas City Rotary Club. Since 2005, Ms. Laine has been active in the Greater Houston Area Association of Education Foundations, serving as president in 2007/2008. Her work to develop the Inaugural Texas City ISD Hall of Honor in 2006 received the Crystal Award by the Texas School Public Relation Association. She has been an active TSPRA member since 2006 and has served as a presenter for workshops at TSPRA and TASB (Texas Association of School Boards) conferences. She was named the Staff Star Nominee by the TCISD Administration Department for the 2012-2013 school year. Ms. Laine has worked on many projects for the good of Texas City and its kids that include participation in the Texas City 100 Year Centennial Planning Board, Rotary Youth Leadership Camp, Mainland Communities United Way, Texas City 2017 Goal Planning, and the Texas City La Marque Chamber of Commerce. In her role as executive director for the TCISD Foundation for the Future, she has worked with her board of directors to increase the net worth of the organization to $1.2 million and gifted over $3.6 million to programs for TCISD kids. Ms. Laine will tell you that leaving her corporate career and beginning her new career in education to support kids has been a dream come true. She is married and spends most of her extracurricular time enjoying four adult children and special friends.